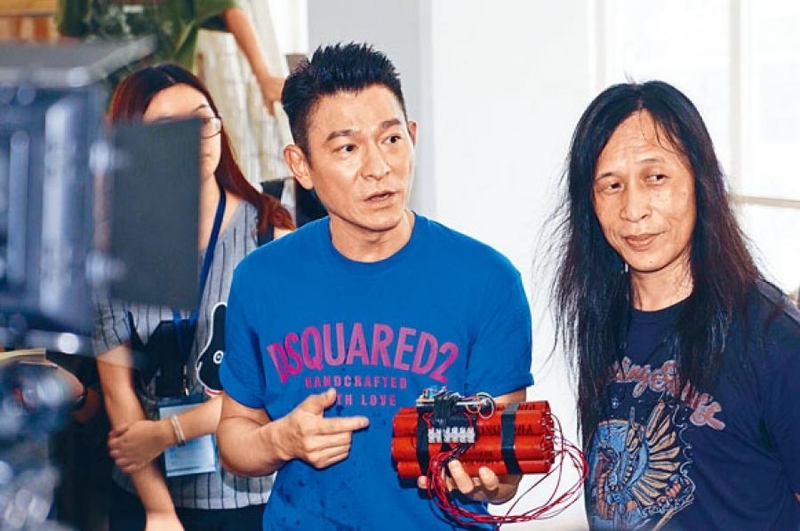 Andy Lau Tak Wa is working on his new film SHOCK WAVE (CHAK DAN JUEN GA), which cost over 180 million yuan RMB. Also producer and investor, Wa Jai from casting, location scouting, screenplay and costume took care of everything. Earlier when they shot a parking lot explosion scene, for realism he used two giant cranes and a 12 hour road block! Wa Jai last year invested in the Taiwan film OUR TIMES, which was a big hit with HK$ 600 million global box office. This year Wa Jai again invested in the new film SHOCK WAVE, which he also starred and produced. Its director was Herman Yau Lai To. Reportedly this time the production cost reached 180 million RMB RMB. From screenplay, casting to even location scouting, Wa Jai participated in. Wa Jai supposedly even personally selected lead actress Song Jia. They worked together on THE BODYGUARD (NGOR DIK DUT GUNG YEH YEH). This time Wa Jai will turn into a bomb defusing expert and will battle wits with the villain played by Mainland actor Jiang Wu. SHOCK WAVE had many explosion, fight and gun fight scenes. Wa Jai revealed that they will shoot a Cross Harbor Tunnel explosion scene. Due to the traffic of the actual location, shooting on location was difficult. For realism they built a 1 to 1 scale tunnel for this explosion scene. Due to the intense production process, the production has never arranged for any media visit and kept everything confidential. Earlier the film for a parking lot explosion shoot blocked off streets in Yuen Long for 12 hours, used two cranes and sealed off the entire parking lot. To keep the story and actor costumes from being unveiled, two blue tents were erected for make up rooms. 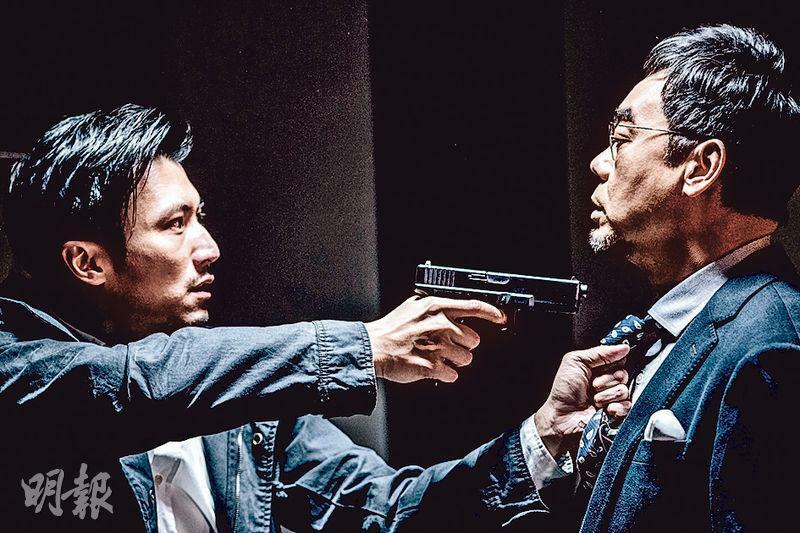 Director Yau Lai To was already on the set at 6PM, for this explosion scene the team even arranged for buses, police vehicles and cars. Over 50 people were among the crew and police uniformed actors. Many pedestrians stopped to look on and needed the crew to maintain order. 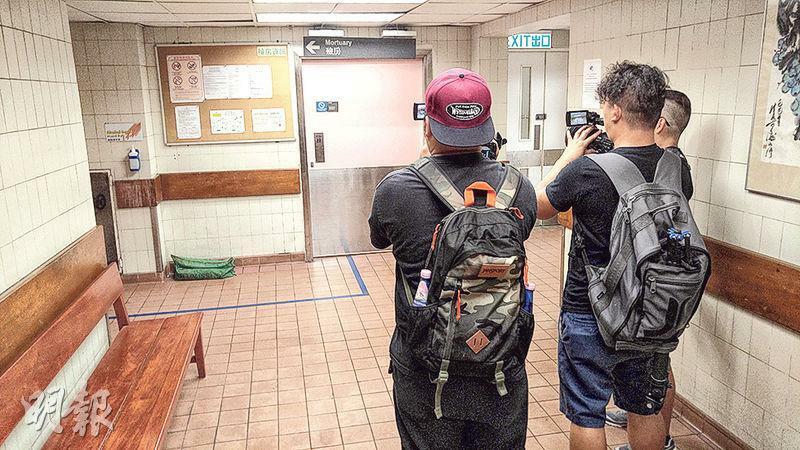 During the shoot, reporters could only shoot from afar. Two loud explosions took place and raging fire ensued. Felix Wong Yat Wa appeared in a suit a glasses for the shoot in the blue tent. Lead and producer Wa Jai then appeared and chatted with director Yau Lai To. Later he even posed for photos with Ken Lo Wai Kwong and other actors. This scene went very smoothly and all the scenes were shot within the 12 hour road block! [2016.06.01] IVANA WONG GAUGES HER KICK TO "LITTLE SIU FONG"
Ivana Wong Yuen Chi and Alex Fong Lik Sun starred in the comedy KIDNAP DING DING DON, which will open soon. 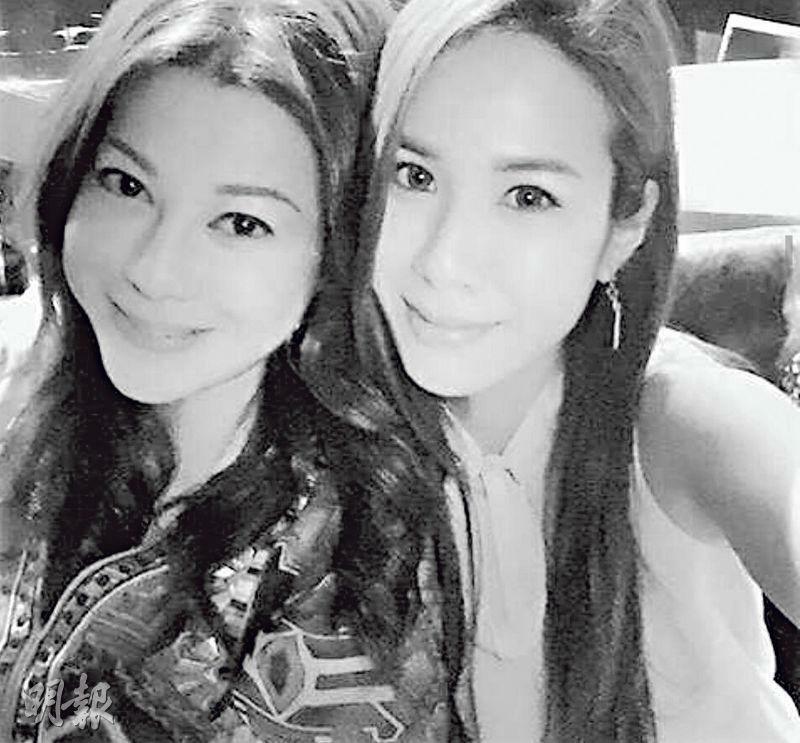 This time will be Siu Fong and Ivana's first collaboration. On and off scene they set off a lot of spark. In the film Siu Fong and Ivana also had a dance number, but because Siu Fong was not much of a dancer, Ivana laughed first then taught. Finally she "hinted" to Siu Fong to lead his dance steps with his strong chest. In addition, Siu Fong also had another scene in which Ivana kicked "Little Siu Fong". Ivana said, "This scene had to be shot by position, we had to be very careful. I didn't dare to injure him because it's very important. I would rather have bad takes and kick from very far, then inching closer and closer to avoid any accident." Gigi Leung Wing Kei's producer debut, the Lai Chun-Yu directed, Law Chung Him, Huang Cancan, Jerry Yan Yuhao starred romance SUMMER'S DESIRE earlier held a 12 city promotional tour that included universities in Tianjin, Guangzhou, and Chengdu. The team spent a month all over the nation for intimate interaction with university students. Him Jai who played the tyrannical chair Ou Chen was exploding with popularity as many fans asked for hugs. Him Jai first replied that he was married before hugging them. Him Jai earlier in THE MONKEY KING 2 got bigger for his role of the Sand Monk. 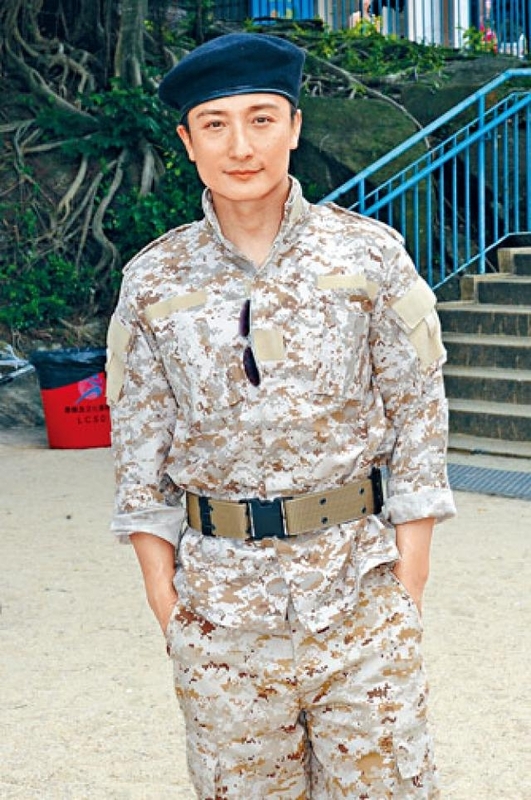 Yet for this Ou Chen character he immediately lost 30 pounds to look young and cool. On this road trip, Him Jai's Mainland fan club followed and cheered him on. All the students fell under Him Jai's spell and immediately joined his fan club. As the trip went on, Him Jai's popularity climbed. Not only female fans said that his boyfriend index has exploded, even male fans told him, "Him Jai you are really handsome!" Fans all asked for hugs. Him Jai mischievously replied that he was already married, but he still gave hugs to fans. Because the intimate scenes in the original novel was preserved in the film, when asked if his wife Tavia Yeung Yi knew Him Jai said that he did not need to prepare his wife for intimate scenes. "We both are actors, and believe in each other's choices. In addition we wouldn't choose movies that would make the other feel bad." The host asked Him Jai which female lead in the film was prettier? Him Jai smartly answered, "Of course Yeung Yi is even prettier, I like Yeung Yi even more." The crowd cheered. In addition, Him Jai on the stage played games with fans and said the line from the film, "Falling for you wasn't in my plan." The atmosphere instantly reached its peak, as fans immediately screamed, "Yeung Yi". 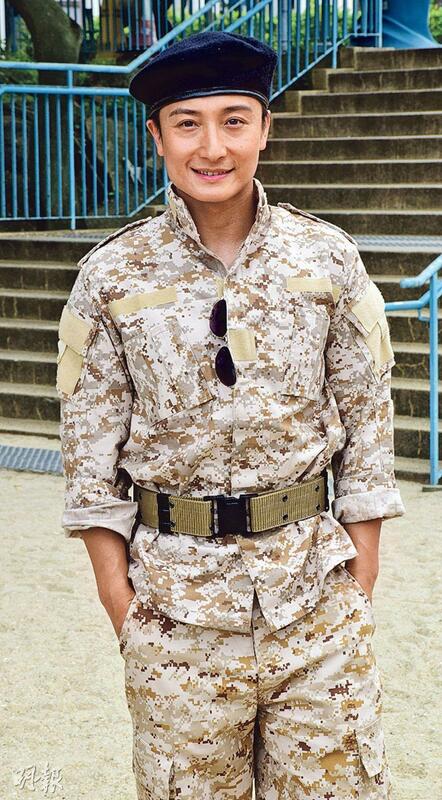 Actually at every events some fans would ask him to sign autographs on his and Yeung Yi's wedding photos. He did not know whether to laugh or to cry, but he appreciated their love for them very much. After the Beijing Film Festival press conference, Gigi again joined the tour at the Guangzhou stop. As soon as she appeared countless screams arose. As a first time producer, she said that the pressure was not too great. Because she had a strong team behind her, they shared a lot of the load. "In comparison to being an actor, the producer doesn't have to be in make up on the set. This probably is the biggest difference." Her primary job was meetings before the shoot with the team and providing her own opinions in areas like art and visuals. After the production began she would also go to the set to cheer everyone on. "I was a very busy producer, at the same time I had a lot of other jobs. Thank you team for being able to accommodate my schedule." Gigi admitted that being a producer was much tougher than being an actor. Every part of the film was under her management. Yet at the same time she learned a lot. She even joked, "Everyone was tired but maintained great mood. The set atmosphere was also very pleasant, perhaps because they had a producer beauty like me." The first generation "Happy Girls" member Bonnie Law Ming Chu (originally named Law Ho Yan) yesterday passed away from heart failure at age 47. 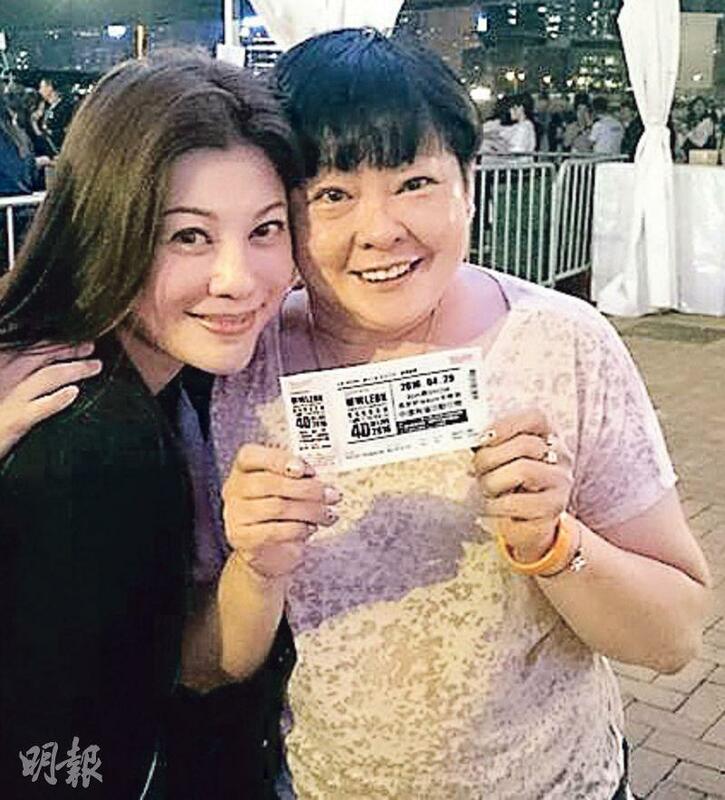 Law Ming Chu's friends were surprised and saddened as they lamented the loss. Reportedly, Law Ming Chu yesterday morning suddenly became ill when he got up. Mother Law was frightened and sent her to the hospital, unfortunately she still could not be saved. Law Ming Chu recently made a comeback with an internet series. She was trying to lose weight, which was the suspected culprit. Yesterday morning came the news of the first generation "Happy Girls" members Law Ming Chu's death. 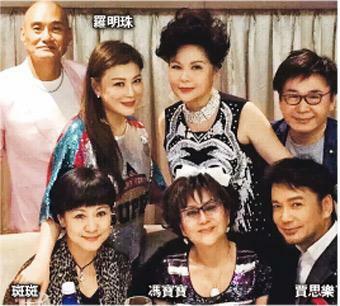 The media immediately called Law Ming Chu's benefactor Raymond Wong Pak Ming, who confirmed the news and said that Mama Law was already contacting her daughter's friends. He was very shocked because he just saw her ten days ago in Residence Bel-Air. At the time she was still very energetic and did not look any different. Reportedly Law Ming Chu recently took an internet series and thus was actively losing weight. She lost over ten pounds and was suspected to have overdone it. 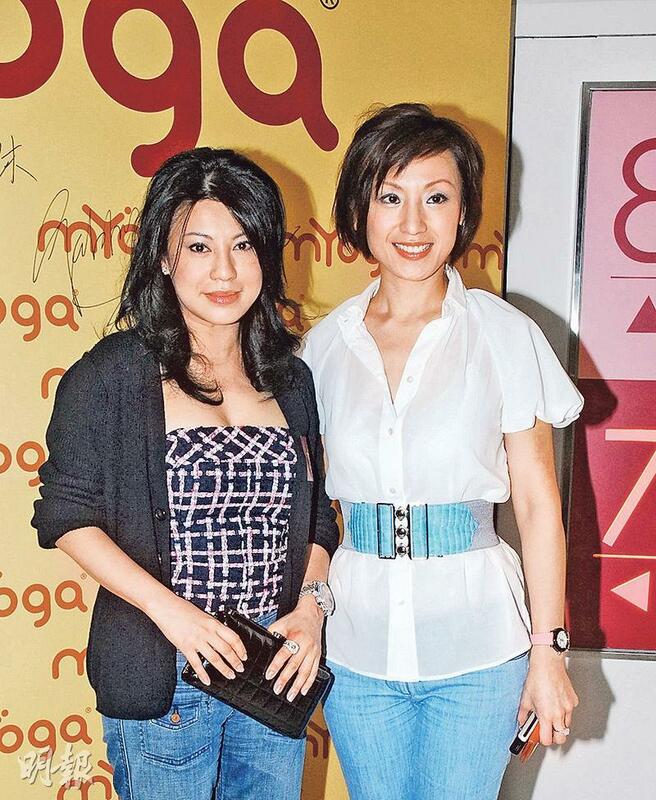 In 2012 when Law Ming Chu appeared in public, she looked bloated due to severe endocrine disorders. After half a year of acupuncture and exercise, she gradually returned to form. Law Ming Chu at the end of last month went with friends to watch Leon Lai Ming's 4D concert and happily chatted with friends in the VIP area. 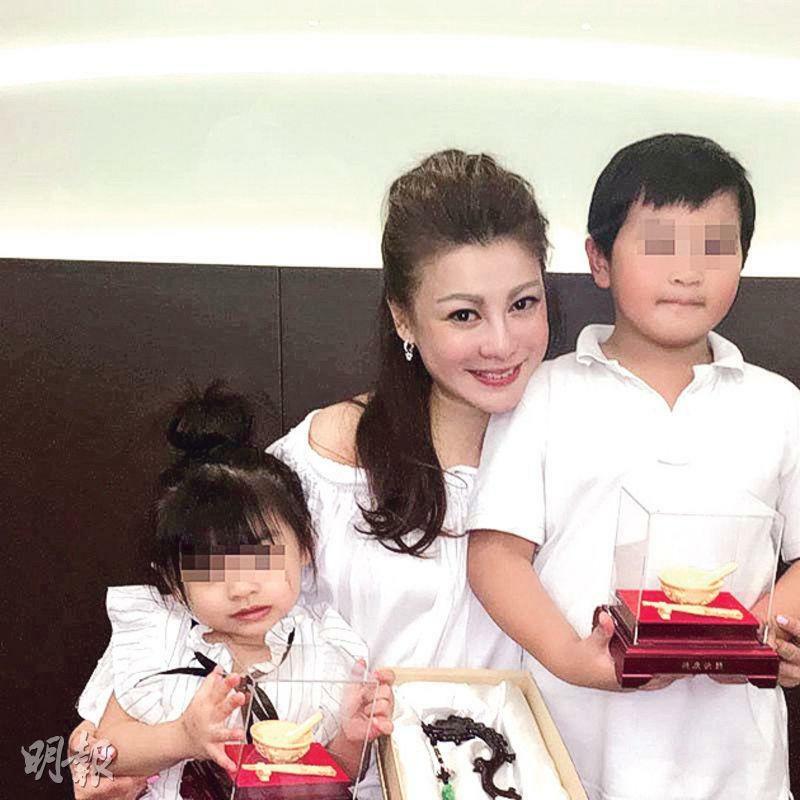 Law Ming Chu's final social network update was 4 days ago, when she posted a photo with her godchildren on instagram. "Happy dinner with my godson and goddaughter." Law looked great in the photo. 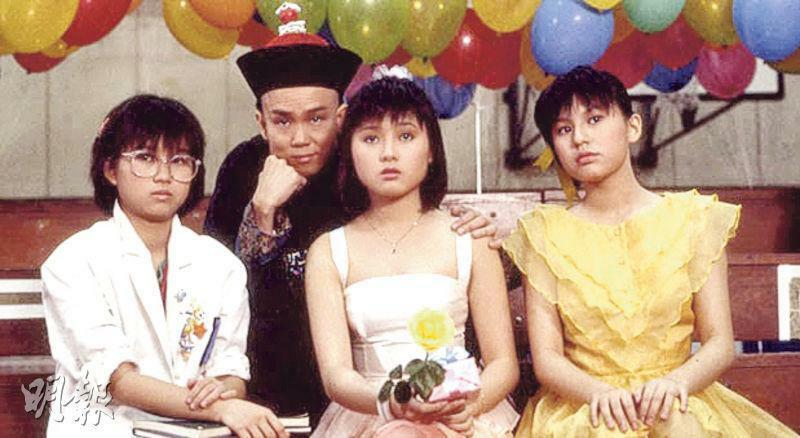 Clifton Ko Chi Sum in the 80s at Cinema City worked on a series of HAPPY GHOST films and made many young female stars like Law Ming Chu, Rachel Lee Lai Chun, Anna Bridgewater (Pak On Nei), May Lo (Law Mei Mei), Charine Chan Ka Ling and Fennie Yuen Kit Ying. He was reminded of how he met Law Ming Chu over 30 years ago. He said, "Her first film HAPPY GHOST was also my first film as a director. She got into the business as a last minute replacement. Her character originally went to (Joyce) Ni Shu-Chun. She worked for a day, then went to Japan with (Frankie) Chan Fun Kei for a movie. She did not give any notice and I had to immediately make a change because the movie had to make a summer release. Cinema City's public relation department had a female employee who said that her niece was pretty sharp. I immediately asked her to set up a meeting at the company. When I saw Law Ming Chu it was after midnight. At the time she was around 16, and she really was pretty sharp. She wasn't shy, had a lot to say and talked fast, she was right for the character. After half a hour of the meeting I decided to cast her." He even remembered that the last thing he said to Law Ming Chu was, "Aren't you sleepy? You still have so much to say in the middle of the night!" Ko Chi Sum also said that he and Law Ming Chu did not stay in touch but would occasionally run into each other at the airport. 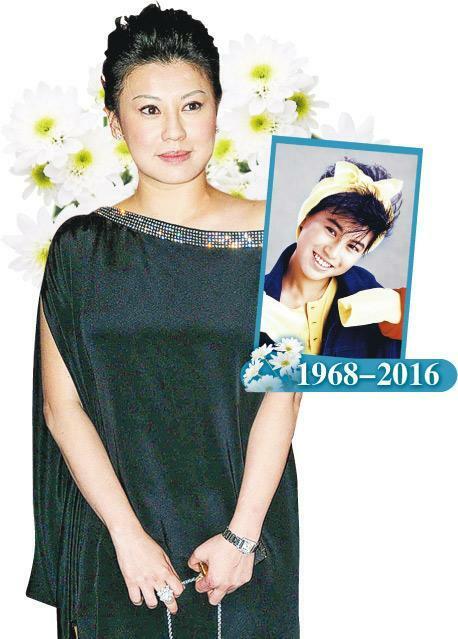 Yuen Kit Ying was surprised and saddened to hear her friend Law Ming Chu's passing. 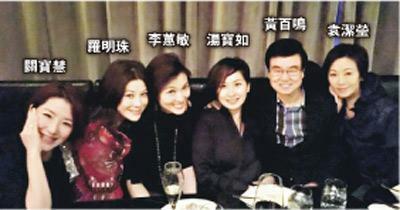 She said that they last met at Wong Pak Ming's birthday party last month. "At the time Law Ming Chu looked great, very pretty. Everyone even tried to get together for a dinner next time. I don't know why it would be like this, it's quite regrettable! My condolences to her family." Lee Lai Chun and Law Ming Chu met on the film HAPPY GHOST in 1982. 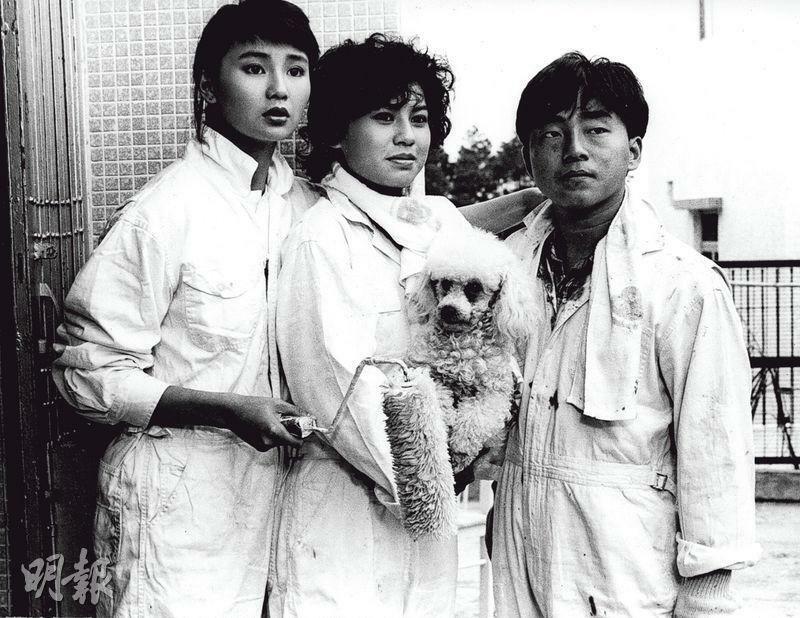 Then they worked together again on the Leslie Cheung Kwok Wing starred romance FOR YOUR HEART ONLY (WAI NEI JUNG CHING). They have practically grown up with each other. Sister Chun replied, "She really was direct, my heart aches over the loss of a good friend!" 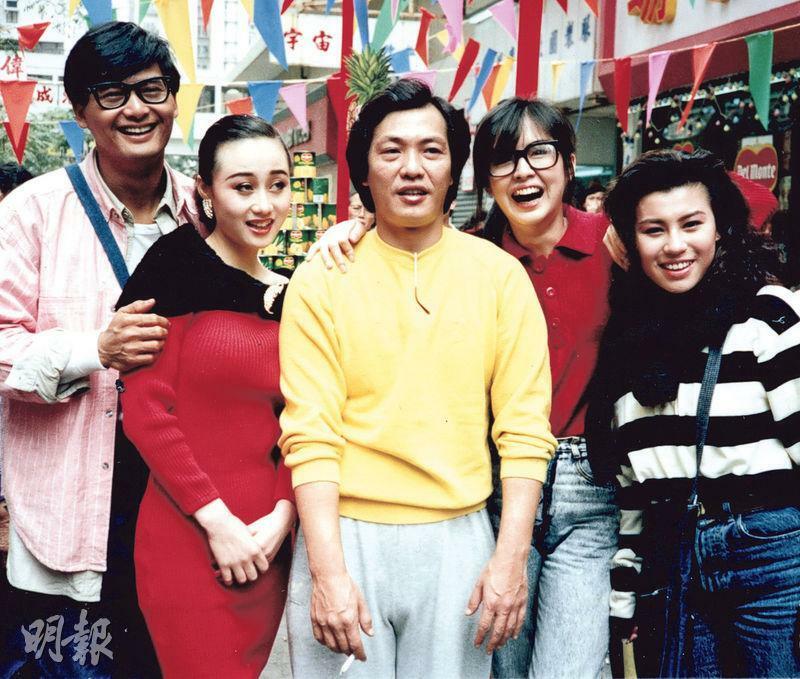 Law Ming Chu was the 80s Happy Girls members with Lee Lai Chun, Lam Shan Shan, Yuen Kit Ying, Law Mei Mei and Chan Ka Ling. Law Ming Chu's personality was exactly a "Happy Girl". Back then she rose to fame as a girl in uniform and stole everyone's hearts with her innocent and healthy image. At age 15 she was already famous. Among Law Ming Chu's past classic films, other than Wong Pak Ming's HAPPY GHOST and ISLE OF FANTASY she also worked with Cheung Kwok Wing on FOR YOUR HEART ONLY and FRACTURED FOLLIES with Chow Yun Fat and Joey Wang Cho Yin. In 1988 Law Ming Chu went to study in Canada. In 1993 she graduated, returned to Hong Kong and worked in finance. 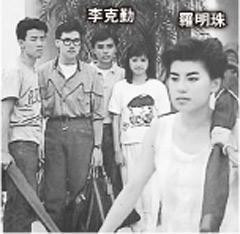 Then she guest starred in the Andy Lau Tak Wa starred THE CONMAN (DOH HUP 1999) and THE CHEATERS (JING JEUNG). In recent years she would also often attend industry dinners. Shi Nansun yesterday attended the Macau International Film Festival. The then Cinema City CEO Shi Nansun lamented that life was unexpected. She was saddened to hear the news. Looking back the girls were very afraid of her because she constantly lectured them. Shi Nansun said, "She really was Happy Girl, she had no selfish motive at all. She was always laughing, everything was written on her face. She was direct, she spoke what was on her mind!" She said that earlier when she had tea with Wong Pak Ming who discovered her she was brought up. She estimated that Wong Pak Ming was definitely very heartbroken. Shi Nansun said that she has not seen Law Ming Chu in a long time. "She was only 47, she has always been very lively, I am really saddened!" Hacken Lee Hak Kun posted two photos from his television series with her, SUMMER OF 88 on facebook. "My first TVB series SUMMER OF 88 was with her. She played my sister. We also worked together on a single. At such a young age, it's truly regrettable! Friend, rest in peace!" Hacken recalled, "Back then she was an innocent girl, taught me a lot about television. She was like an elder because she worked on movies before. I am very surprised and saddened to hear the news." Former ATV artist Kiwi Yuen Kit Yi not only signed with TVB but earlier even stepped foot into the film industry as she starred in the film SI SIU JEH Z (MISS CORPSE Z). She stated that the film production was memorable. As a night club PR she and several "daughters" got along well. She even had a kiss scenes with the writer, director and star Sam Gor. "I never thought that at almost half a century, I could make such a cute movie. The most memorable of course was the kiss with Sam Gor. Actually over the years I haven't really made any kiss scene. This time I truly lived! The young actors were all very energetic, a 16 year old Hong Kong Australian Aden always called me pretty." Kit Yi also thanked Sam Gor for inviting her to be the female lead. He invited a group of ATV behind the scene old friends to participate, which made her feel extra familiar.